An alum of MOMI, Anela has had the privilege of working in each classroom environment from Toddler to Middle School over the past ten years. Most recently, she coordinated the Primary Aftercare program. 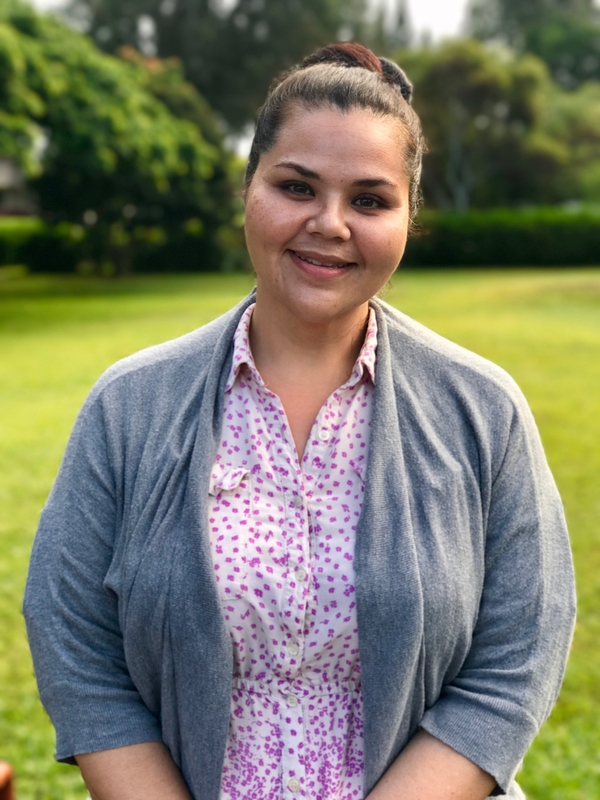 Anela holds an associate's degree and will complete her bachelor's degree at Chaminade University Honolulu in Early Childhood Education within the next ten months. At present, she is also pursuing her Montessori Toddler credential from The Center for Guided Montessori Studies, a MACTE accredited training center based in Tampa, Florida. Anela enjoys going to the beach and spending time with her family. Alejandra joined MOMI in 2007. She has served in a number of different capacities, including Assistant in the Kamani Primary classroom, where she is now the Lead Teacher. She completed her AMI Primary training at the Montessori Institute of San Diego in 2007 and also holds an English Preschool teaching certificate in Uruguay, where she was born and raised. Shana joined MOMI in 1996. Shana holds a bachelor’s degree in Social Science and a master’s degree in Education, she is also certified as a personal trainer. She completed her Primary Montessori training with the Montessori Foundation in Sarasota, Florida. Shana embraces the fact that lessons on campus are “presented” rather than “taught,” allowing each student to explore and eventually master skills at his or her own developmentally-appropriate pace. 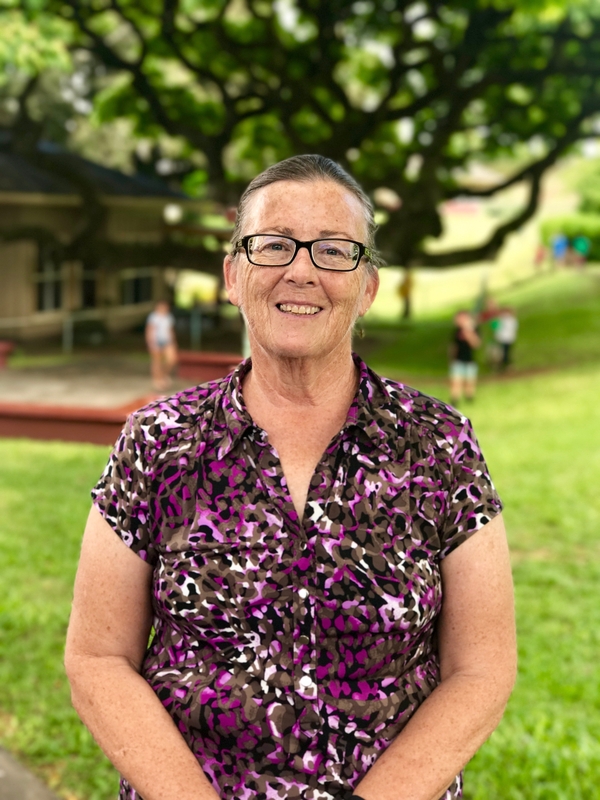 She sees the mission of her teaching as “encouraging and guiding children to become global citizens.” In addition to nurturing the Monkeypod students, she has three children of her own who have attended Montessori School of Maui. Chrissy joined MOMI in 2006. 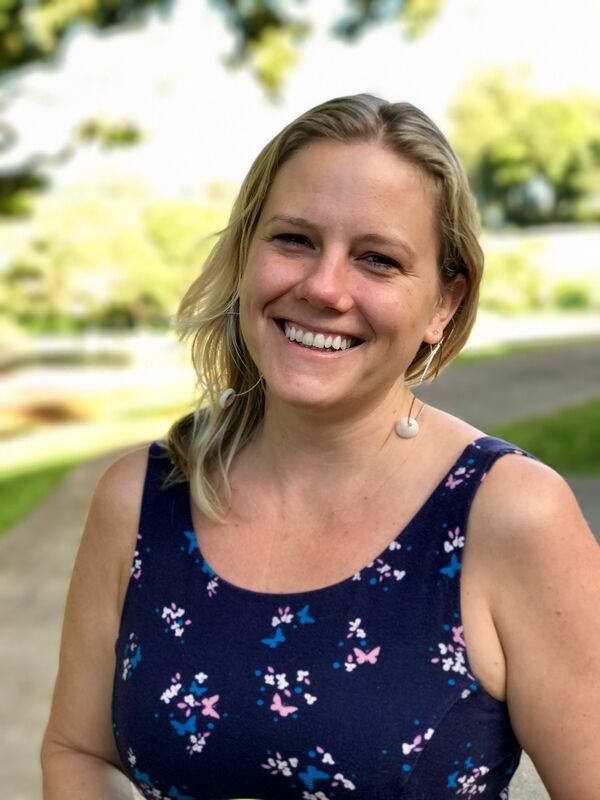 Chrissy moved to Maui from Colorado, where she completed primary Montessori credential at the Montessori Education Center of the Rockies through the University of Colorado at Boulder. She also has completed programs in child development, Primary Orff Music teaching and has Master Gardener certification. Janie joined MOMI in 1996. 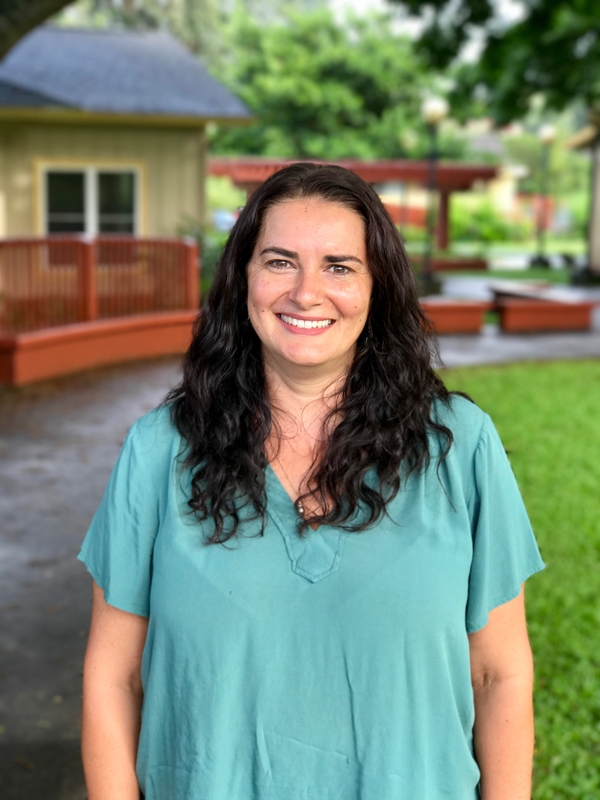 Janie holds a bachelor’s degree in Early Childhood Education and primary credential from Chaminade University of Honolulu. Janie is a rich resource who readily shares her wisdom and experience. She explains, “the gift of a Montessori education, tailored to each child’s individuality, inner drive and learning style, fosters a lifelong love of learning, independence and critical-thinking skills as well as compassionate global citizenship and earth stewardship.” Janie has been married to her husband, Neal, since 1987 and has two adult children and two grandchildren. The parents of her students often feel as if they have learned as much from their Montessori experience in Janie’s class as their children. Originally from California, Janie has lived on Maui since 1969. Megan joined MOMI in 2013. 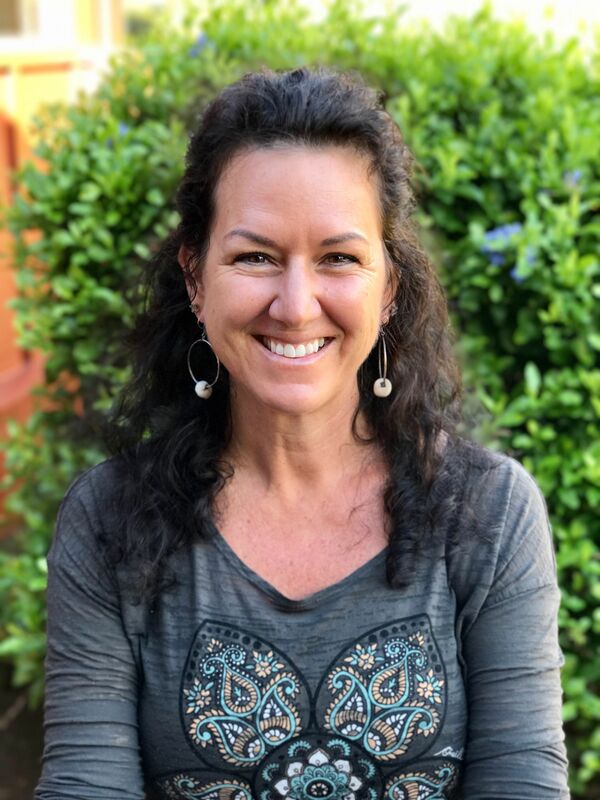 She completed her primary credential at Montessori Institute of San Diego and worked previously for a Montessori school in California for three years at the primary level - one year as the movement and gardening teacher and two years as a primary classroom assistant. Megan obtained her bachelor's degree in Human Development from UC San Diego, and spent her junior year studying abroad in Ireland. She completed a master's degree in Child Development at the UC Davis. Megan feels passionately about following the child and creating an environment that fosters the childʻs independence. "Dr. Montessori believed, as do I, that we must ʻeducate for peaceʻ, which begins with the child," shared Megan. " I feel so blessed to be a member of this amazing community!" Originally from Point Reyes Station, California, Megan and her husband Scott (our Living Classroom Teacher) married on Maui in 2016. They are proud parents of a beautiful, baby girl named Mae. Megan loves to hike, knit, sew, and cook yummy food alongside Scott and their dog Abby. Amanda joined MOMI in 2002. She has served in a number of different capacities, including assistant teacher (2002-2007), elementary aftercare (2008-2011), and assistant teacher (2012-2018). Amanda graduated from Chaminade University of Honolulu in 2015 with a bachelor's in English. She will complete her lower and upper elementary training at the Montessori Center of Minnesota in summer 2019. She's always had a love of working with children. Born and raised on Maui, Amanda lives near her family who keep her busy. She enjoys reading, watching her niece and nephew play soccer, and traveling. Jen joined MOMI in 2004 as a student teacher. She also served as the naturalist, taught kindergarten in public school, and was an assistant teacher in our Toddler class from 2014-2018. 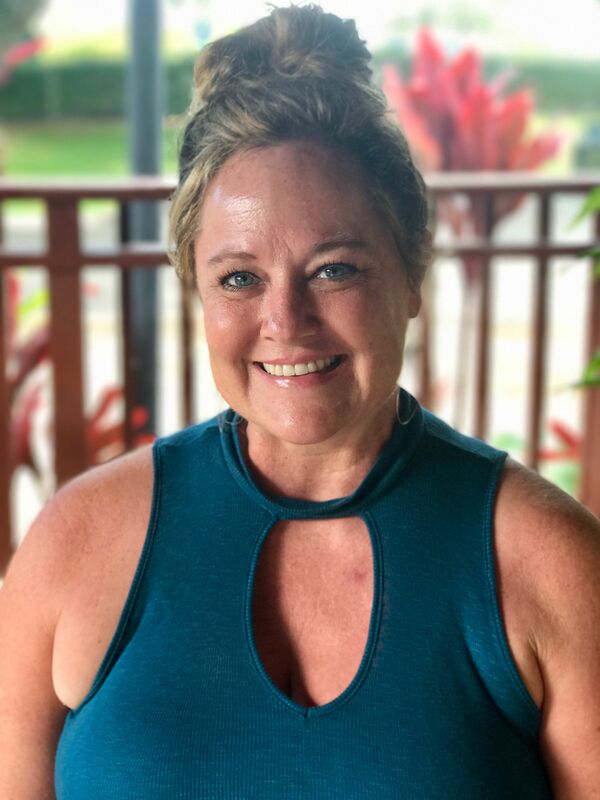 Jen earned a bachelor's degree in Anthropology and master's degree in Elementary Education with a focus in Mathematics, Science and Montessori education. She is an AMS Elementary I credential and also holds a Hawaii State Teaching license for grades K-6. She has additional training as an Orton-Gillingham language therapist. Jen is passionate about the Montessori methodology and pedagogy. She loves being a part of our school as she feels that we consistently value the needs and best interests of our students. She enjoys traveling, seeing live music, sewing, hiking, and spending time with her son, a MOMI student himself. Emily joined MOMI in 2007. Emily earned a bachelor’s degree in Journalism from the University of Arizona and worked as a print journalist for several years before completing her lower elementary Montessori training. She has also completed a master’s degree in Montessori Education. A Montessori student herself, Emily shared, “I believe that the lessons I learned about intrinsic motivation carried me through the rest of my educational career and have supported me in many other aspects of my life as well.” Emily enjoys hiking, going to the beach, cooking and reading with her daughter Laila, who attends MOMI. Patti joined MOMI in 2018. She completed her bacherlor's degree in Education at Hope College in Holland, Michigan. Once introduced to Montessori education, Patti attended the Center for Montessori Teacher Education in Rochester, NY to complete her upper elementary Montessori credential. When not in Mamane, Patti enjoys reading, golfing, and traveling. Amy joined MOMI in 2017. She has a strong and diverse Montessori background having taught Primary, Lower Elementary, and Upper Elementary. She earned both AMS and AMI credentials and she has taught Montessori in both the private and public sectors. 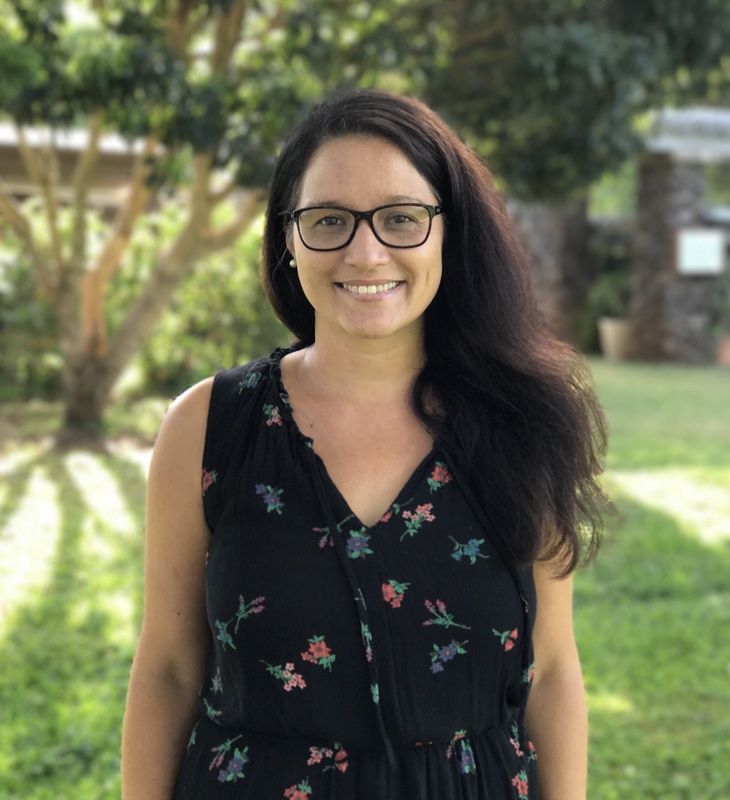 She holds a bachelor's degree in History, a master's degree in Education, and teaching licenses from Hawai’i and Idaho. Amy is most proud of developing Idaho’s first Montessori Upper Elementary classroom within the public-school system. Her main goal in teaching is to help students retain their natural curiosity and inherent love of learning. “I feel like I’m a tour guide on the road of education. 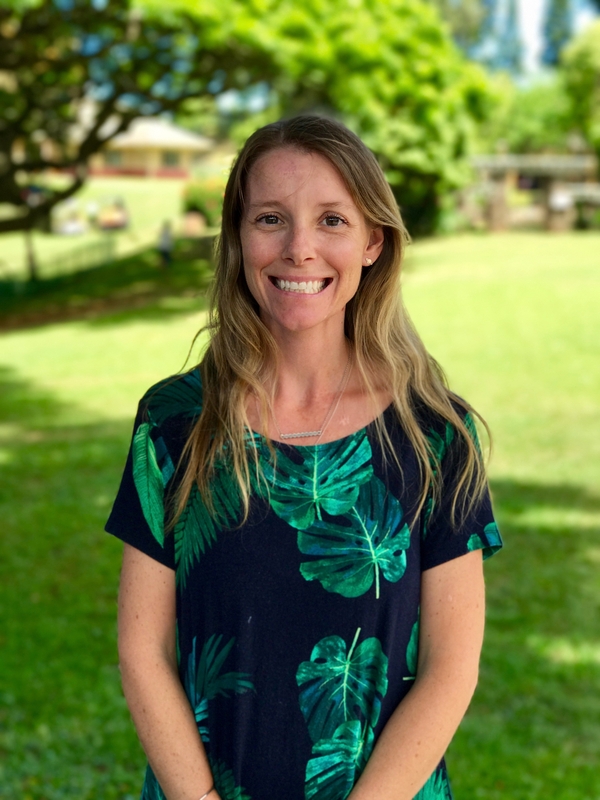 Montessori is the perfect discipline to offer students opportunities to develop their character, self-awareness and knowledge base; it offers opportunities for students to truly live up to their highest human potential.” Amy is grateful to be at the Montessori School of Maui. It has been her life-long dream to live in Hawai’i and experience a joyful sharing of life. She loves being in nature, sharing good food, reading and playing in the ocean. Jeffrey joined MOMI in 2008. After serving as a primary teacher for five years, he moved to Portland and then Uruguay to dabble in different areas of Montessori's global growth. Jeffrey then returned to MOMI in 2013. A graduate of the AMI Orientation to Adolescent Studies, AMS and AMI primary Montessori trainings, a bachelor's degree in English, a master's degree in Education, Jeffrey is well-equipped in the classroom. Jeffrey believes Montessori philosophy, theory and application in a school environment are among the greatest forms of humanitarian service and it shows in his passion for the work. He says, "by guiding children to reach the fullest realization of their personality, we rebuke the mainstream attitude towards childhood - book knowledge trumps character development. In this increasingly connected global community, it's not the facts and figures that will define success and satisfaction. Rather, the ability to joyfully engage in myriad collaborations between a cross-pollination of individuals from all corners of the Earth, in all industries that exist now, and those still yet to come in the future."